Throughout each academic year, the Career Development Centers hosts a number of career fairs to meet the needs of employers and students. See where your degree can take you by exploring the results of the Class of 2017 First Destination Survey. Students and alumni have access to more than 2,500 opportunities at over 7,000 local, national, and international organizations on Cards Career Connection powered by Handshake. 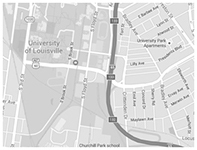 Employers have exclusive access to more than 18,000 students at the University of Louisville by joining Cards Career Connection powered by Handshake. Your support is critical to our success. Gifts to the College-to-Career Launch Fund help us continue providing exceptional career and professional development programming for students and alumni. Feb 25, 2019 Communication Internship Fair this Thursday! Pro or Con: Does a Student's Address Belong on a Resume? The Career Development Center recommends not listing your address when making your resume public. This includes when making it public to employers in Handshake.